Size: * 4 lb. 12 lb. 22 lb. CORE Wild Game is grain-free and packed with high-protein duck, lamb, turkey, wild boar and rabbit, plus easy-to-digest legumes. 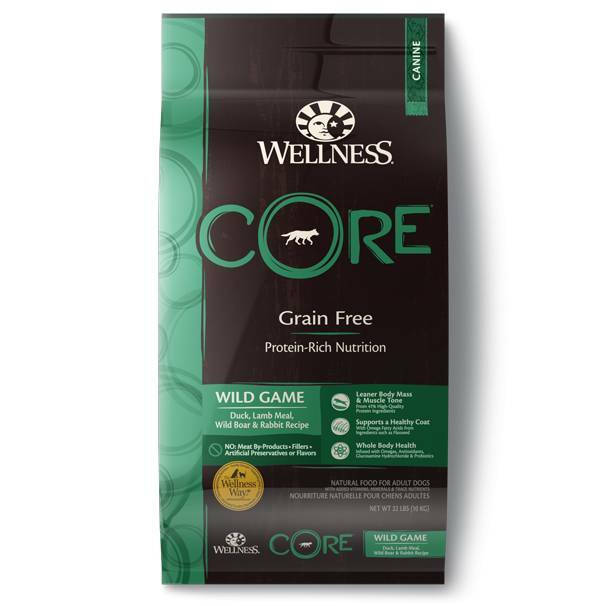 Wellness CORE Wild Game Formula Adult Dog Food is formulated to meet the nutritional levels established by the AAFCO Dog Food Nutrient Profiles for maintenance.